The Quran is the holy book of the Islamic world. Collected over a 23-year period during the 7th century C.E., the Quran is said to consist of Allah's revelations to the prophet Muhammad, transmitted through the angel Gabriel. Those revelations were written down by scribes as Muhammad pronounced them during his ministry, and his followers continued to recite them after his death in 632 CE. At the behest of the Caliph Abu Bakr, the chapters and verses were collected into a book in 632 CE; that version of the book, written in Arabic, has been the holy book of Islam for over 13 centuries. Islam is an Abrahamic religion, meaning that, like Christianity and Judaism, it reveres the biblical patriarch Abraham and his descendants and followers. The Quran is the holy book of Islam. It was written in the 7th century C.E. Its content is the wisdom of Allah as received and preached by Muhammad. The Quran is divided into chapters (called surah) and verses (ayat) of differing length and topics. It is also divided into sections (juz) as a 30-day reading schedule for Ramadan. Islam is an Abrahamic religion and like Judaism and Christianity, it honors Abraham as the patriarch. Islam reveres Jesus ('Isa) as a holy prophet and his mother Mary (Mariam) as a holy woman. The Quran is divided into 114 chapters of different topics and lengths, known as surah. Each surah is made up of verses, known as ayat (or ayah). The shortest surah is Al-Kawthar, made up of only three verses; the longest is Al-Baqara, with 286 verses. The chapters are classified as Meccan or Medinan, based on whether they were written before Muhammad's pilgrimage to Mecca (Medinan), or afterward (Meccan). The 28 Medinan chapters are mainly concerned with the social life and growth of the Muslim community; the 86 Meccan deal with faith and the afterlife. The Quran is also broken into 30 equal sections, or juz'. These sections are organized so that the reader can study the Quran over the course of a month. During the month of Ramadan, Muslims are recommended to complete at least one full reading of the Quran from cover to cover. The ajiza (plural of juz') serve as a guide to accomplish that task. The themes of the Quran are interwoven throughout the chapters, rather than presented in chronological or thematic order. Readers may utilize a concordance—an index that lists each usage of every word in the Quran—to look for particular themes or topics. 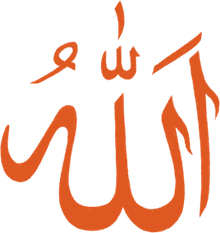 Although the story of the creation in the Quran does say "Allah created the heavens and the earth, and all that is between them, in six days," the Arabic term "yawm" ("day") might be better translated as "period." Yawm is defined as different lengths at different times. The original couple, Adam and Hawa, are looked upon as the parents of the human race: Adam is a prophet of Islam and his wife Hawa or Hawwa (Arabic for Eve) is the mother of the human race. Like the other Abrahamic religions, there are many women in the Quran. Only one is explicitly named: Mariam. Mariam is the mother of Jesus, who himself is a prophet in the Muslim faith. Other women who are mentioned but not named include the wives of Abraham (Sara, Hajar) and Asiya (Bithiah in the Hadith), the wife of the Pharaoh, foster mother to Moses. The Quran doesn't reject Christianity or Judaism, but rather refers to Christians as "people of the book," meaning people who received and believe in the revelations from God's prophets. Verses highlight commonalities between Christians and Muslims but consider Jesus a prophet, not a god, and warns Christians that worshiping Christ as a god is sliding into polytheism: Muslims see Allah as the only one true God. "Surely those who believe, and those who are Jews, and the Christians, and the Sabians—whoever believes in God and the Last Day and does good, they shall have their reward from their Lord. And there will be no fear for them, nor shall they grieve" (2:62, 5:69, and many other verses). Mariam, as the mother of Jesus Christ is called in the Quran, is a righteous woman in her own right: The 19th chapter of the Quran is entitled The Chapter of Mary, and describes the Muslim version of the immaculate conception of Christ. Jesus is called 'Isa in the Quran, and many stories found in the New Testament are in the Quran as well, including those stories of his miraculous birth, his teachings, and the miracles he performed. The main difference is that in the Quran, Jesus is a prophet sent by God, not his son. Juz' 7 of the Quran is dedicated, among other things, to an interfaith dialogue. While Abraham and the other prophets call upon the people to have faith and leave false idols, the Quran asks believers to bear the rejection of Islam by nonbelievers with patience and not to take it personally. Modern critics of Islam say the Quran promotes terrorism. Although written during a period of commonplace inter-trial violence and vengeance, the Quran actively promotes justice, peace, and restraint. It explicitly admonishes believers to refrain from falling into sectarian violence—violence against one's brothers. The Arabic text of the original Arabic Quran is identical and unchanged since its revelation in the 7th century C.E. About 90 percent of Muslims around the world do not speak Arabic as a native tongue, and there are many translations of the Quran available in English and other languages. However, for reciting prayers and reading chapters and verses in the Quran, Muslims do use Arabic to participate as part of their shared faith. The Prophet Muhammad instructed his followers to “beautify the Quran with your voices” (Abu Dawud). Recitation of the Quran in a group is a common practice, and the precise and melodious undertaking is a way adherents preserve and share its messages. 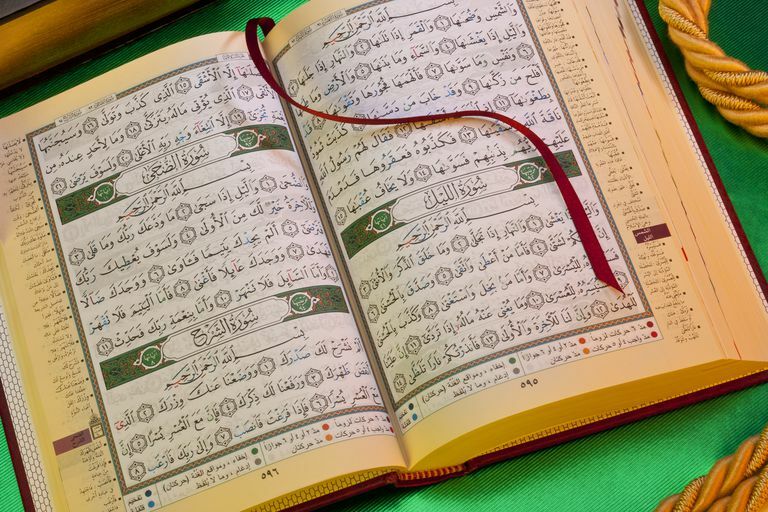 While many English translations of the Quran contain footnotes, certain passages may need extra explanation or need to be placed in a more complete context. If needed, students use the Tafseer, an exegesis or commentary, to provide more information.